So, you've been discharged from the hospital and the excitement of leaving it behind has been replaced by the fear of your own four walls, no longer the familiar territory it was only a few days or weeks previously. There is something comforting about being in hospital as, despite the constant noise and prodding and poking, you know there is a professional on hand if you need them. Not so when you close your front door! Now, I know it is early days, but there have already been a few life savers that have got us through and I hope they will continue to do so! So I thought I would share them with you. I'll warn you, it's a long post, but I think it's an important one to get right, so you might want to grab a cup of tea and a biscuit before you begin reading! 1. Keep a note of everything! Having spent 9 days of his first 11 in hospital, there were a great deal of notes made about our little boy's progress: his changing weight, tests and swabs he'd had taken, antibiotics he'd been given and when, not to mention the standard NHS and hospital numbers. With the best will in the world, it is impossible to keep track of all these names and numbers. We were asked to recall them at a moment's notice by midwives, doctors and consultants and I was left feeling like a terrible mother every time I struggled to remember the Latinate for the latest treatment he'd been given. It turns out, some hospitals leave your notes at the end of your bed while others keep them behind the nurses' station; don't be afraid to ask for them as you won't get to keep them when you're discharged by the community midwife. After a particularly despondent day in hosptial, my husband and I asked for the notes and spent 1 1/2 hours reading through and making our own. It was time well-spent because we felt empowered and, when the next consultant came to see us, were able to convey our points with greater clarity. I have used the notes section on my iPhone and e-mailed them to myself as back-up. In fact, I have done the same with every feed and it has come in handy as, having a premature baby with jaundice who hasn't fed well, meant we were frequently called upon to share this information. 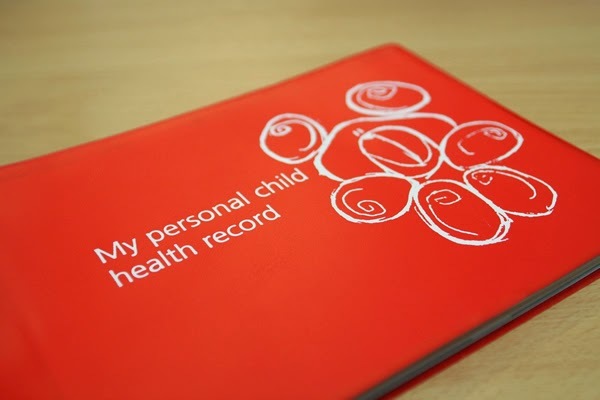 UK babies will be given what is known as The Red Book, or health record, but I quite like having my own notes too. 2. Yes, it is another baby book, but this one is different! I'm an avid reader, but struggled to find a baby book that sustained my focus for more than half an hour or didn't feel like I was being preached to. That was until friends recommended 'Your Baby Week by Week' by Simone Cave and Dr Caroline Fertleman. No sooner had they popped round with the recommendation, than my husband was on Amazon Prime (free for a month and worth it for a whole host of last minute baby essentials!) ordering it to be delivered the next day. It doesn't preach, is to the point and does what it says on the tin! We're currently staying a week ahead and know we'll be buying it for pregnant friends in the future. 3. Make friends with an expert! You are probably far more organised than us; my husband paid a trip to Mothercare, walked around looking for the most experienced sounding sales assistant, pounced and said "I became a father 12 hours ago. We have nothing and I could really do with half an hour of your time". Lo and behold, Mel (the branch manager in Eastbourne) became his saviour and boy was I grateful (from my hospital bed)! She talked him through everything, told him what to buy, what worked and what didn't and, when I next saw him, he was brimming with confidence and armed with the essentials. He even called up Mel when we got back from hospital with some questions about some of the items he bought! In fact, he'll only go in there now if he knows she's working! 4. Get sanitized. When you're in hospital, you will probably get used to the stringent hygiene regulations and, as we have a puppy (you might have spied him in a few of my older posts), we are even more conscious of ensuring we maintain that now we're home. The Bounty ladies will no doubt visit you in hospital and there are lots of vouchers in the pack they'll give you, including some for Dettol. 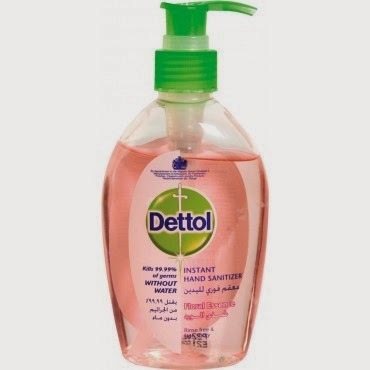 Take advantage of them and get some push-top sanitiser for the nursery, your bedroom and the kitchen as well as some smaller bottles for your handbag - from our experience, you can't have enough. 5. 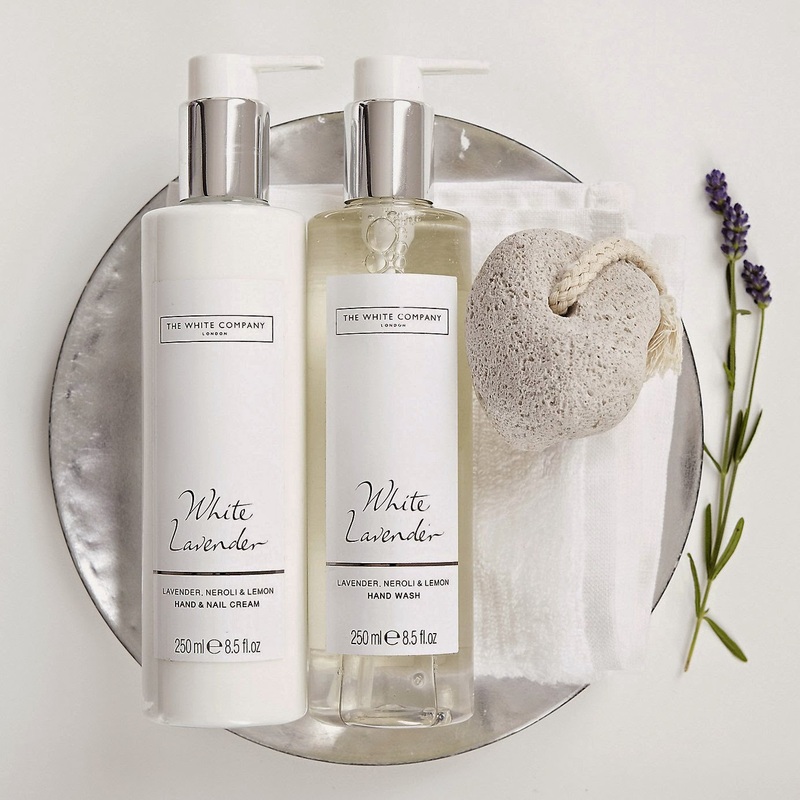 And, for something nice to go with it, you'll probably need some moisturiser so why not treat yourself to something from The White Company, like their hand and nail sets. I love the White Lavender, but all of them are gorgeous. My hands are not what they once were, having been sanitised more times each day than I care to remember, but I've now started keeping the moisturiser in the nursery and by the bed so that, as soon as our little one is settled, I pop a bit on my hands. It's fair to say that I'm getting through it at a rate of knots, but it is making a difference! 6. 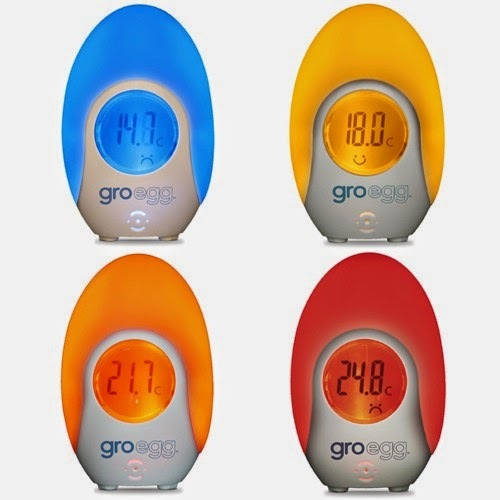 Invest in a Groegg room thermometer and a baby monitor (ours is by BT). They will both give you peace of mind and allow you to rest or get on with things around the house without worrying, plus both have a night light that makes it easy to check on your little one during the night without disturbing them. The changing colours of the Groegg mean you can tell how many layers your baby needs with a single glance and it has reassured us no end. 7. Our little one has been on antibiotics and a side effect of that has left him with diarrhoea. 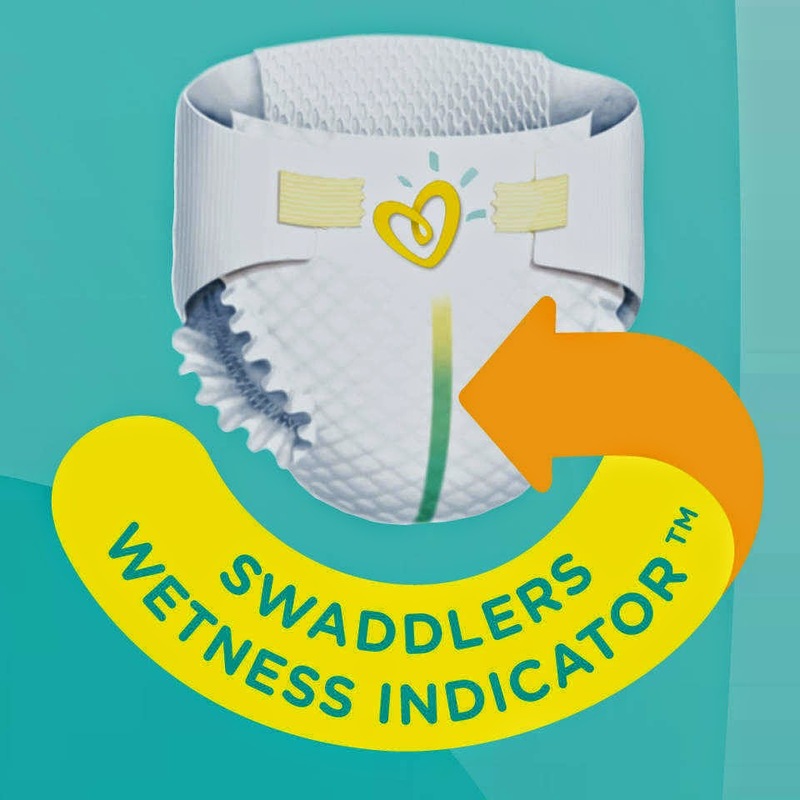 We want to keep his bottom as dry as possible to avoid the dreaded nappy rash, but don't want to disturb his sleep any more than is necessary and, with the only thing that really upsets him being a nappy change, we have found Pampers nappies with a wetness indicator have saved tears and kept nappy rash to a minimum so far. We're still learning so much about our little boy and what helps to make looking after him easier, so I really hope this helps you if your little bundle has yet to arrive or you are wading through the minefield that is taking your newborn home from hospital! If you have any tips and ideas about what has helped you, I'd love to hear from you as no sooner do we think we've got one area sussed than another crops up!